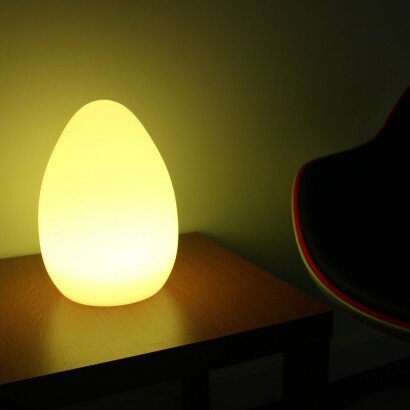 A stunning mood lamp with soft curves and a contemporary egg shape this extra large egg lamp measures 28cm and is guaranteed to make an impact. 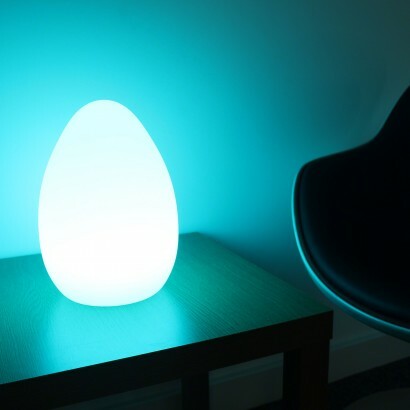 An LED light base is packed with colour change LEDs inside the egg giving a huge range of colours that can either by held on colour change or static functions for atmospheric lighting. 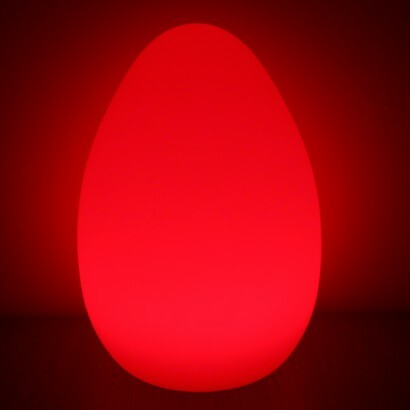 Remote controlled, choose from 12 static colours, 4 different modes and even the brightness of the egg putting you firmly in control of your mood lighting. 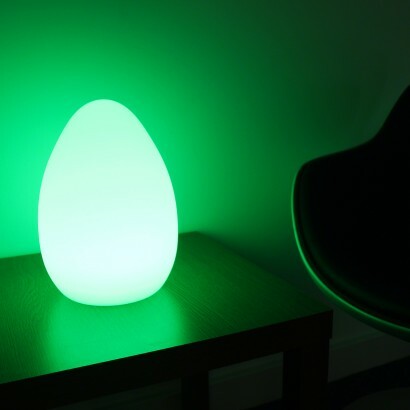 Charge the lamp and place it anywhere around your home, from soft night lighting, to relaxing mood lighting, sensory lighting and even entertaining, this versatile lamp puts a whole world of colour in your hands! Great fun light. Psychadelic to Zen in a few presses of the remote. 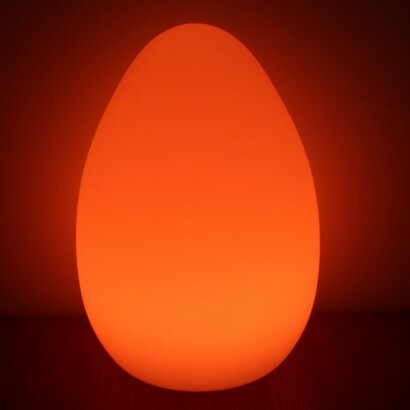 Decent battery life too.